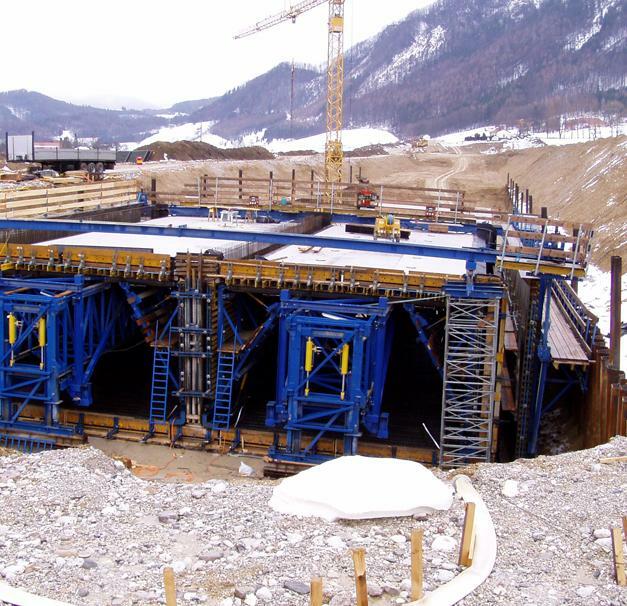 This twin-tube motorway tunnel with 2 lanes in each tube has an overall length of 1,940 m. By using 2 Doka formwork travellers, 48 m per week were constructed in casting sections of 24 m length each. 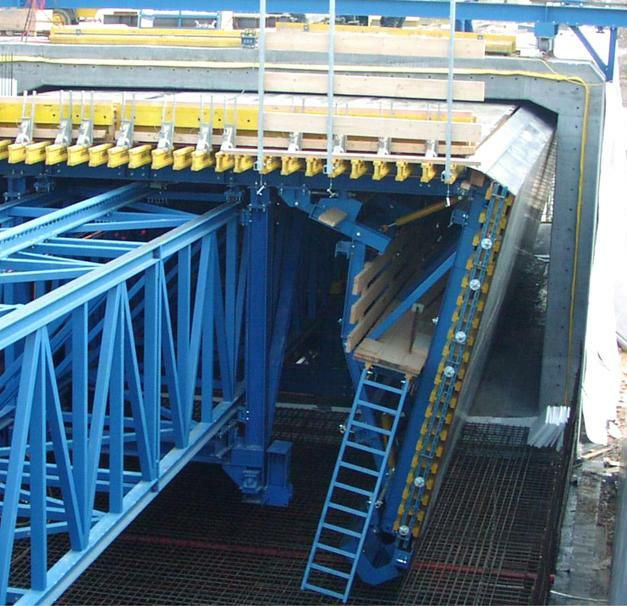 The formwork traveller of project "Tunnel Steinhaus" has been modified and reused for this project. 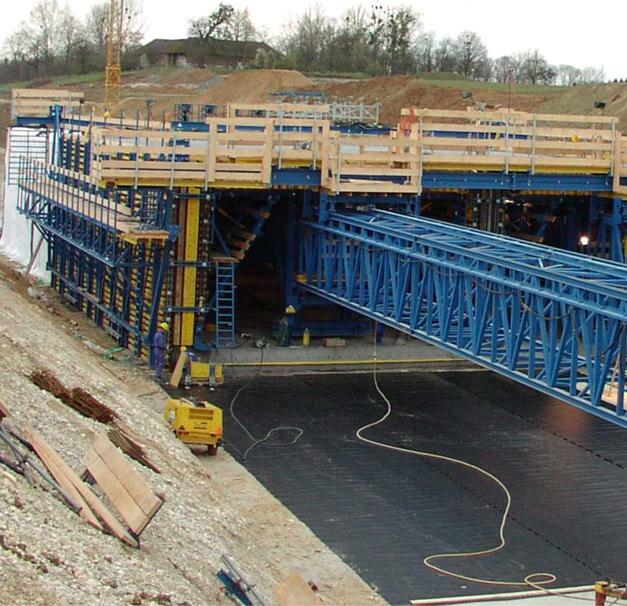 Thank you for your interest - Tunnel Ottsdorf. 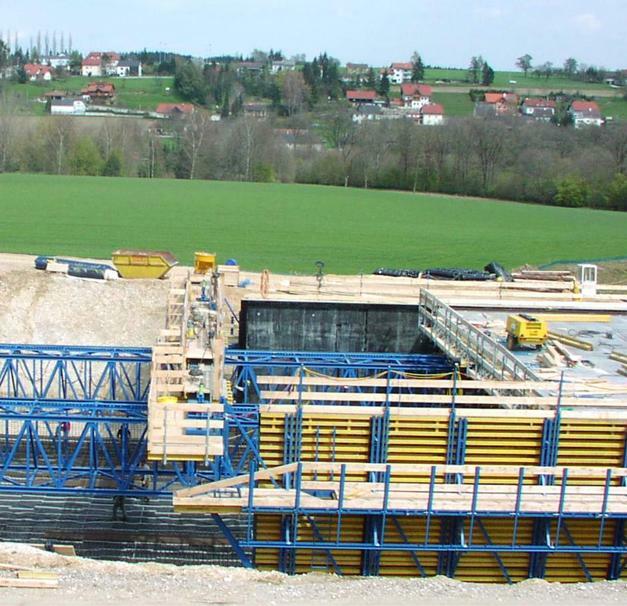 Thank you very much for your interest - Tunnel Ottsdorf.